The most recent report from the International Data Corporation (IDC), the world’s premiere global market intelligence firm, has confirmed that AOC under the Multi Media Display (MMD) group has retained its spot in Philippine market share as the leading monitor brand for the fourth quarter of 2017. AOC established a strong foundation in their market share at the start of 2017 and it was continuously sustained moving forward ending the second quarter with the market share percentage in favor of AOC. During the third quarter of 2017, their total market share peaked up to 21.96% and stayed strong up to the end of the fourth quarter. AOC, known for their high-quality display solutions, maintained their market leadership and closed the year strong. 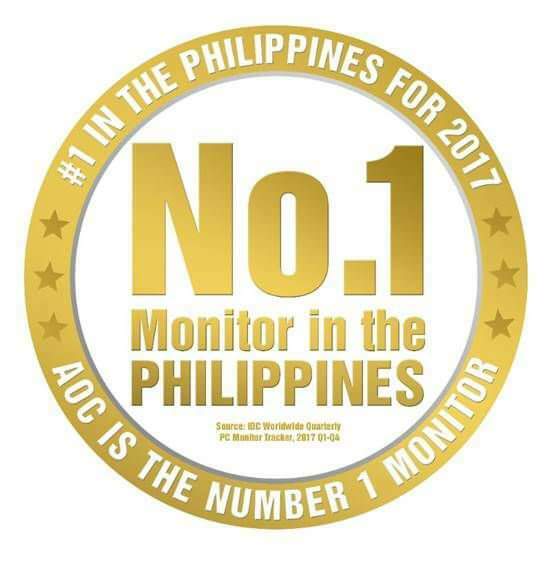 The data analysis of the whole year showed that AOC sold hundreds of thousands of units throughout 2017 making them become the number one monitor brand in the Philippines. Now halfway throughout 2018, AOC is poised to maintain being the number one monitor brand in the Philippines by continuously improving their products and strategies. The reputation of being number one in 2017 will always be remembered as AOC is dedicated to deliver the best products in different price ranges and applications.